I want to discuss one of my favorite types of books: the Historical Atlas. These are great for any campaign that touches on history (or even fantasy campaigns that are loosely inspired by the past). They come in all varieties, some covering broad periods and regions with others being much more specific. They've also come a long way with the help of the internet. In addition to old fashioned printed historical atlases, which are still useful, there are online sources like Chronoatlas and Omniatlas. Many important sites also have devoted web pages, for example the Roman harbor of Ostia has Ostia-Antica.org. These frequently have regularly updated maps that give you an incredibly detailed impression of what the place may have been like in the past. For a long time, I had no idea that historical atlases even existed. I knew some of my books had maps of the world in different periods, but the notion of a book devoted to maps of the past was something I never encountered until I went to college. 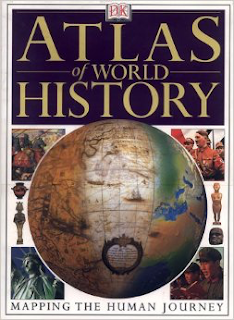 A professor recommended I pick up a good historical atlas so I went out and got the DK Atlas of World History (which remains one of my favorites). I immediately found use for it and noticed an enormous difference in the quality of my history papers. Something about having the maps to reference while I studied books about the European Witch Craze or the Fall of Constantinople really helped me contextualize things and improve my sense of historical geography. But they were also great for gaming. Whether you are running something in the Victorian Era, Ancient Rome or Imperial China, a historical atlas is a useful tool. It is like having a complete campaign map for your history campaign. No matter where the players go, you have a map of the place at your fingertips. Sometimes a big general purpose atlas will give be sufficient, but occasionally one focused on the period or place you are dealing with is better. 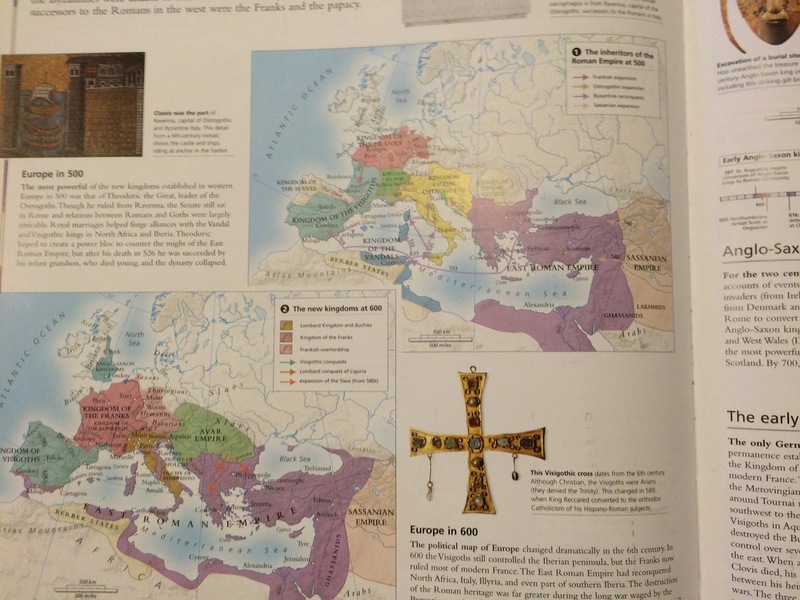 For example, if you are running a Roman campaign, you might use the Penguin Historical Atlas of Ancient Rome (they have a whole series covering different places like Russia, Egypt, etc). One reason I like the DK Atlas of World History is it includes both a broad overview section of the world, but follows this with regional maps. So if you are playing a game set in Victorian England you can look at the world maps for 1800-1850 and 1850-1900 when the players suddenly decide to take a boat to India. Then if you need to run something in India, you can then open the South and South East Asia regional section. There you'll find plenty of maps covering India in that period (they won't be organized exactly the same but you should be able to find things in the ballpark period). And the regional maps often give everything from resources to trade routes, wars and political boundaries. You'll still need to bring your own knowledge of the period of course. I absolutely recommend picking up a historical atlas if you are a GM, or checking out online historical atlas resources. You may be able to find some good history maps on a google image search as well, but in my experience the printed atlases still have lots of maps you can't get online (though some of the older ones that are public domain are freely available).